In the months I spent in Israel and Palestine, I did not meet anyone who was not in favour of peace, although there were many different views as to what peace would look like! Israel would have to be the key player in any move towards peace, as it is the occupying power, so here I look at a few of those struggling to make their voices heard in Israel. 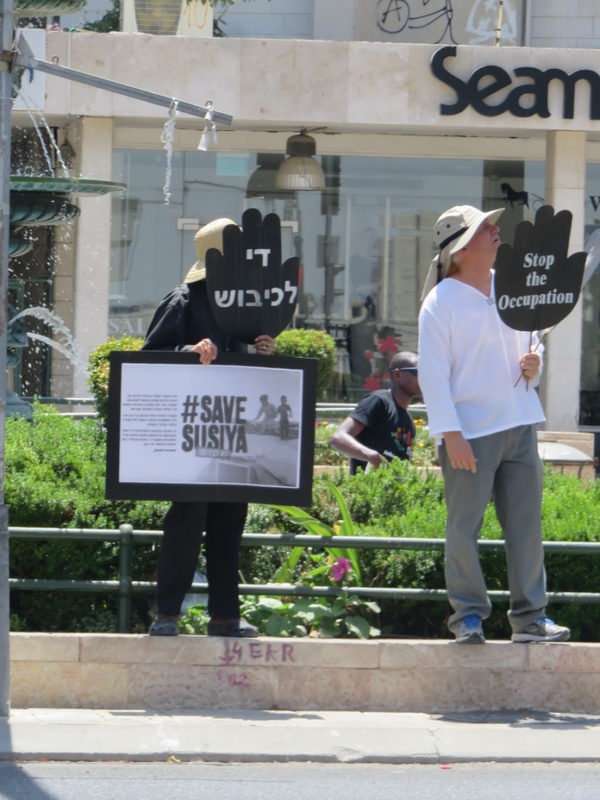 Each week EAs demonstrate in West Jerusalem with Women in Black, an Israeli women’s anti-occupation group. The demonstrators generally receive some signs of support, but these are tiny compared to the shouts of abuse, occasional spitting and calls of “whore”. 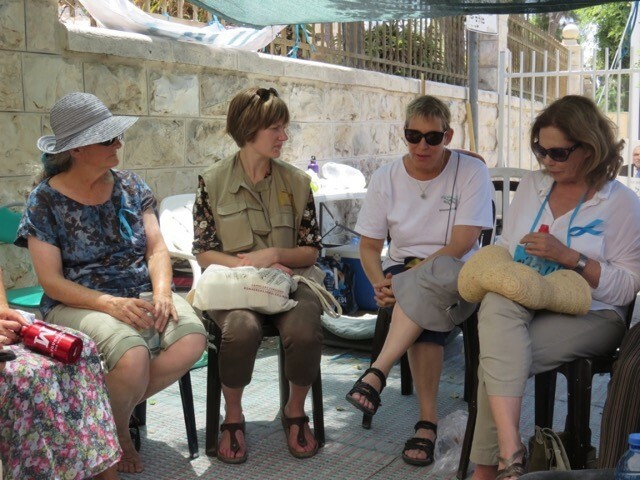 During my time in Israel and Palestine, we also visited a demonstration by Women Wage Peace, another peace organisation. 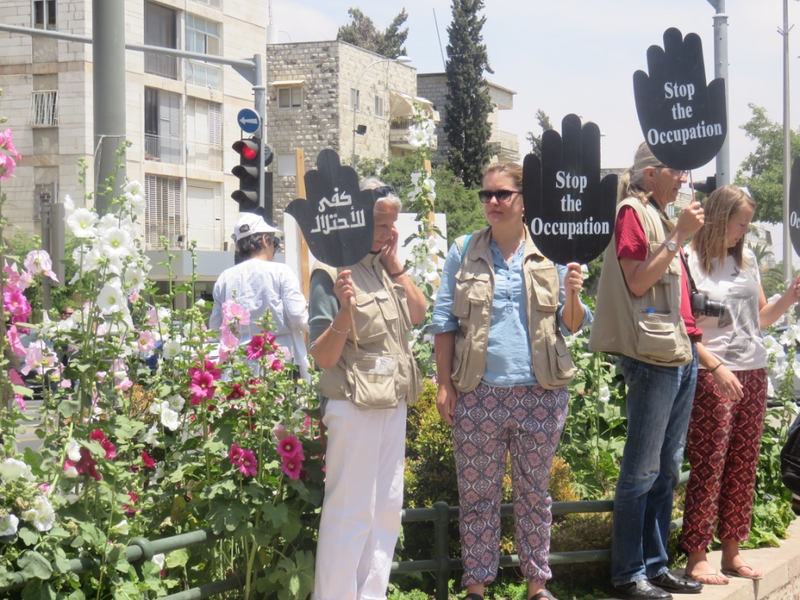 On June 12, 2015, this group started 50-day vigil and fast outside the Israeli prime minister’s residence in Jerusalem to mark the anniversary of last summer’s Gaza war. On our second visit to see them, we were surprised to be joined by Knesset (Israeli parliament) member Mickey Levy who sits for the Yesh Atid Party. I think it would be fair to say that Mr Levy’s view on an end to the occupation, the position of Jerusalem, and the need for security, would not have resonated with most of the peace activists who we met. But he did turn up. 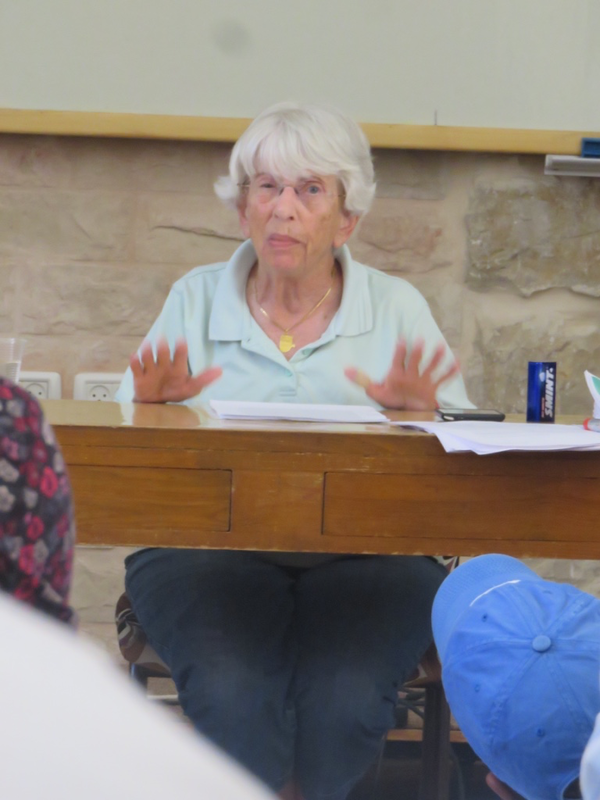 We regularly found ourselves in the same place as Rabbis for Human Rights during our time in Israel and Palestine. In the photo below you can see Rabbi Ascherman (bottom left) staging a sit in and reading the Torah to the Israeli forces removing solar panels from a Bedouin community. 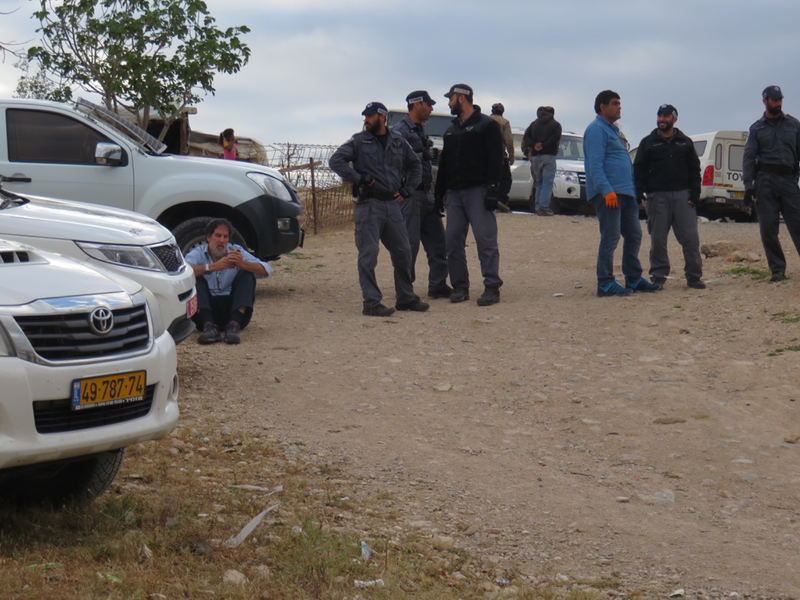 Perhaps the organisation with which we came most in contact with was Machsom Watch as we stood with them at checkpoints in the West Bank. Machsom Watch are a group of Israeli women dedicated to monitoring and documenting the conduct of Israeli soldiers and policemen at the checkpoints. You can see one of their indomitable spokespeople, Hanna Barag, speaking to new EAs in the photo below. “I wish to claim here that in spite of the complex security apparatus in the Territories, bureaucracy is what really manages occupation. Allow me to define bureaucracy: literally this means the rule of the office, the bureau – concentrating power in the hands of administrative mechanisms, or the exaggerated application of official procedures. Commonly held opinion is that bureaucracy as such operates blindly and arbitrarily. “The occupation bureaucracy, on the other hand, acts on clear principles and objectives. The Civil Administration, the executive arm of the bureaucracy of occupation, maintains a ‘legal’ and organisational apparatus with which the occupier effectively control the occupied in the long run. Uncertainty, arbitrariness, strictness and ineffectiveness serve the system well and turn the people who need it into disciplined subjects. Among the better known groups we met were Combatants for Peace, and Breaking the Silence, two organisations made up of former Palestinian and Israeli combatants now working for peace. But there are many more. Perhaps the last words could be left to the Rev Niam Ateek, a tireless Palestinian peace activist. That is the struggle for peace. We must hope that our actions in our own countries can help those striving for peace in Israel and Palestine. 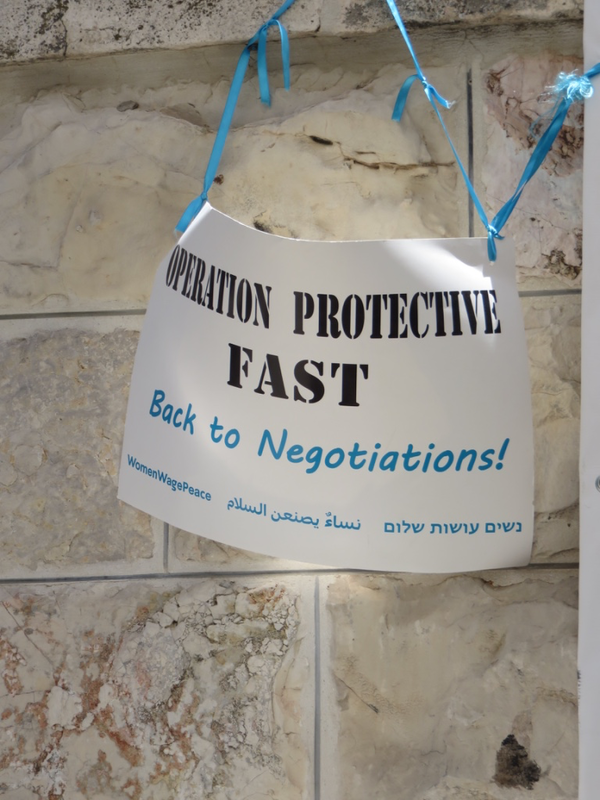 This entry was posted in East Jerusalem, Impact of occupation on Israelis, Israeli and Palestinian peace workers, Uncategorized. Bookmark the permalink.